﻿ How much does Real Madrid depend on Cristiano Ronaldo? 18.09.2012 » How much does Real Madrid depend on Cristiano Ronaldo? With the recent turmoil in Madrid arising from an impressive amount of 8 points dropped out of the first four fixtures in the Spanish League, there are surely several reasons that can be pointed as the cause for this season's bad start. A bad pre-season preparation and the lack of motivation from several players when playing in La Liga are in the frontline of many critics analyses. However, on this article we'll be focusing on Cristiano Ronaldo stats from the past 2 seasons and look for any strong evidence that could lead us to draw a fair conclusion about Real Madrid's dependency on Cristiano Ronaldo. Despite having won the Spanish Supercup against their arch-rivals Barcelona, Real Madrid has been struggling to impress over the Spanish League, as they've already conceded 2 losses and 1 draw in the first four matches of the competition. This season, Ronaldo has scored 4 goals out of the 6 official games that he has played for the club, which is pretty much his normal standard in Madrid. However, the team has been failing to present a good football quality on the pitch and with the exception of the games against Barça, the Merengues are still far from showing their best form, both in terms of attitude and technique display. In most of the games, passing has been sloppy and since there seems to be no one else but Ronaldo capable of deciding games on their own, the Merengues have been finding it hard to hit the back of the net with the ease they had last season. Further on, we'll be precisely analyzing Cristiano Ronaldo stats in Madrid over the last 2 seasons and try extrapolate any conclusion in regard to a potential Real Madrid dependency over the Portuguese star. 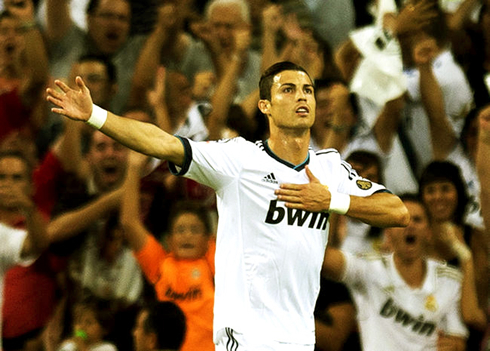 In the 2010-2011 season, Cristiano Ronaldo has scored in 29 different games for Real Madrid, out of a total of 58. That's an exact average of 50% and in those 29 matches where Ronaldo hit the back of the net for at least once, Real Madrid won 28, drew one and didn't lose a single game. As for the the remaining 29 games without Ronaldo's presence in the scoresheet, the Merengues won 16, drew 8 and lost 5. The numbers seem to speak for themselves as everytime Ronaldo picked up at least a goal in a game, Real Madrid ended easily finding the path to victory in most of the times. 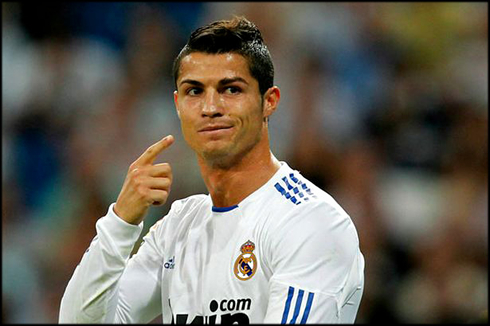 In the 2011-2012 campaign, Real Madrid had another 58 games season, but this time, Ronaldo scored in 37 (63,8%) of those! The Merengues won 32 matches out of that 37 game-count, drew 3 and lost only 2. 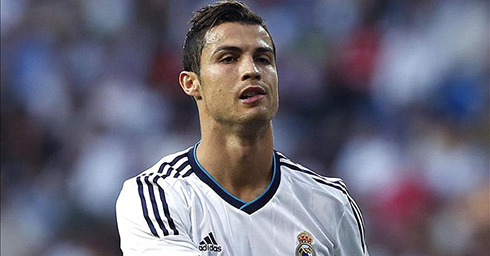 As for the games where Ronaldo couldn't score any goal at all (21 ~ 36,2%), Real Madrid won 14, drew 4 and lost 3. The Portuguese player influence has clearly raised when compared to the previous season (63,8% vs 50%), and Real Madrid kept exhibiting problems to win their games whenever Ronaldo couldn't score. This season (2012-2013) and despite the short amount of data available due to the low amount of games played so far, we can still detect a similar pattern and which can somehow help us explaining that whenever Ronaldo doesn't score, Real Madrid seems to miss his contribute in a decisive way. So far and still before tonight's Champions League clash between Real Madrid vs Manchester City, the Merengues have played 6 games, with Ronaldo scoring in half of them. In those matches where CR7 scored, Real Madrid won 2 and lost 1, while for the remaining ones, the club has drew 1 and lost 2. Over the course of the past two seasons and the beginning of the current one, Ronaldo has failed to score in a total of 53 games (43,4%) for Real Madrid (out of 122 games). In those occasions, Real Madrid won 56,6% of their games, drew 24,5% and lost roughly 18,9% of the times. If we cross-check this data with the one regarding to Real Madrid stats when Ronaldo scores, there's some clear evidence that the Merengues easily win their matches whenever the Portuguese forward steps up. Everytime Ronaldo scored (he scored in 69 games from that total of 122), Real Madrid won 62 matches (89,9%), drew 4 (5,8%) and lost only for 3 times (4,3%). Once again, the 89,9% vs 56,6% shows us a visible difference in terms of the Real Madrid effectiveness when comparing the two scenarios of Ronaldo scoring and not scoring. This seems to turn into a bigger problem whenever no one else in the team is able to raise their own game and also decide games in occasions where Ronaldo doesn't score. This season for example, Real Madrid is yet to win a game where the Portuguese forward doesn't contribute with a goal. 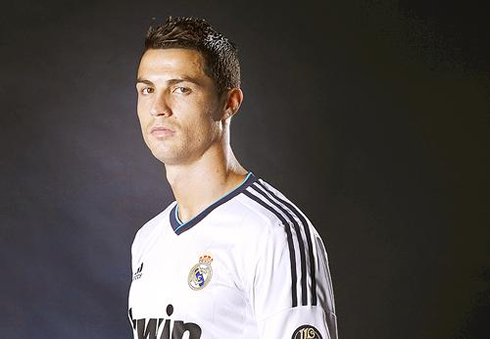 Cristiano Ronaldo's will now play for Real Madrid against Manchester City, this Tuesday (18-09-2012). You can watch Juventus live stream, Real Madrid vs Manchester City, Borussia Dortmund vs Ajax, Montpellier vs Arsenal and Milan vs Anderlecht, all matches provided from our football live streams section.